I had always desired to have dwarf azaleas in my garden but one way or the other, couldn't. Either I would be at a place where climate was not suitable and if the climate was suitable, I wouldn't get the plants. So it always remained a dream. They are likely to flower for another month or so. Aren't they lovely. beautiful.are they perennial and will survive in climate of okara.? They are indeed beautiful. The biggest challenge would be their survival in hot summer months in Okara /Lahore. The weather in Murree / Abbotabad would be more ideal. 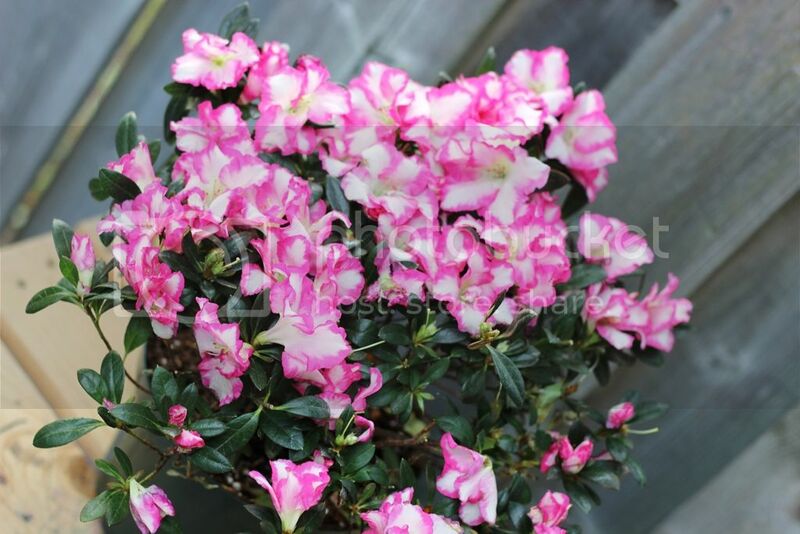 I am told by a nursery owner who imported a similar looking Azalea recently from Thailand that they are grown over there in a mountainous region where temperature are lower and he himself had doubts whether they would survive in Lahore but one should always experiment rather than following accepted myths. I hope they survive & thrive and wish you good luck. They require acidic fertlizer during the growth stage. Acidic fertlizer for azaleas of Vitax company are available at Chanan Din Seeds located in Main Market Lahore. I never thought that there are so many verieties which can be grown in pots. This is ready made plant.Azaleas & Tuberous Begonia can never survive our hot summers.They are fit for Swat,Murre & Galiyat.its just a gamble to have desire for these plants in our hot summers. i believe that Umar Khan has a point regarding their survival in our hot summers. Begonia's also behave like annuals in our plains. Khurram sb i have grown many exotic plants at Abbottabad in past for so many years.Plants like Fuchia,Hydrangeas,Tuberous begonia,Azaleas,African Violets ,Peony & Cyclamen do not survive our dry & hot summers.Dalia,Primula pacifics,Primula Malacoides survive but the results are not as we see in our hilly areas.Bringing an imported plant in flowering is just like we see picture on a packet & purchase the seed packet.but what is the result.Even rose does not flower in our hot summers like it do in Murree these days. All of your observations are valid and hold true. Apart from the weather the soil in frontier region is more fertile compared to Punjab. The bloom of roses in Hasan Abdal/Murree/Mardan are much bigger compared to Lahore. Even the taste of Red Blood Orange variety grown in Sargodha pales in comparison to the Red Blood Orange variety grown in Haripur / Dir districts which are more delicous. Even the taste of the Makkei bread grown in Frontier is more delectable when compared to Makkei bread from Punjab. Personally it's not just the weather but also the fertility of the soil. However Azalea ought to do well in Abbottabad and Mardan and you may want to experiment ? Sorry for causing the confusion guys. Just forgot to change my location. BTW, from day one on this forum, I have been a strong proponent of growing plants as per the climate and environment. Actually, I go to the extent of considering it unethical and brutal to experiment with growing plants outside their climatic region drastically. After all they are living beings and should not suffer due to our lack of knowledge or quest for pleasure. An attempt to grow azaleas in Okara would have been very stupid, to say the least. And I am so happy to see that most of realize this basic gardening fact. Bought yellow Zantedeschia today from a subway garden shop. It is on bloom. Will post pics soon. Will post the pics soon. 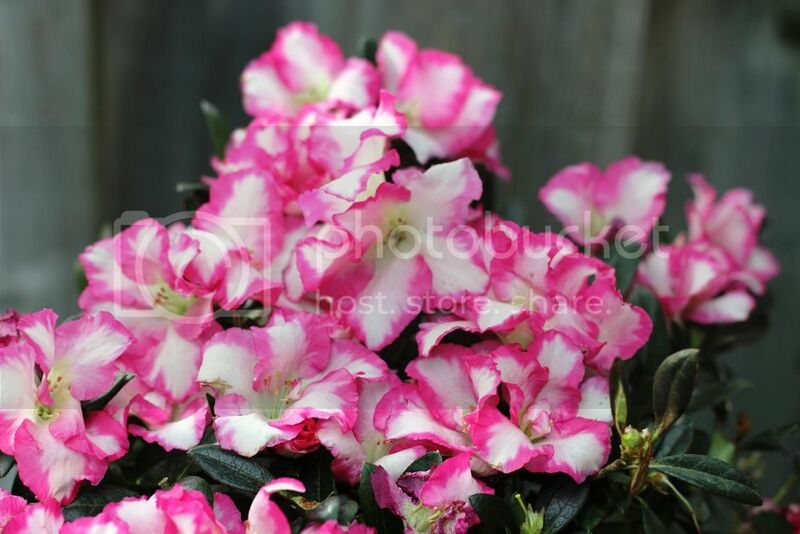 As yes, azaleas thrive best in pH 4.5-5.5 soils.